Noted for her commitment to clients, Hdeel works to understand clients’ business and goals to advance legal and broader objectives. In large firms and independent practice, Hdeel has acted as lead transactional and regulatory counsel to U.S. and foreign banks, sovereign entities, companies and non-profits. On their behalf, Hdeel has negotiated, drafted and executed conventional and Islamic finance, corporate, and commercial transactions; advised U.S. and foreign banks, money services businesses, companies, and non-profits on sanctions, anti-corruption, anti-money laundering, and counter-terrorism financing matters, including providing client training and drafting compliance programs; and structured and advised on bespoke investments and transactions combining multiple objectives and applicable laws. In addition, Hdeel has represented U.S. and foreign companies in disputes opposite sovereigns and private parties. Her matters have involved the United States, the Middle East, Africa, Asia, and Europe. Having handled transactions, compliance matters and disputes, Hdeel understands how transactions are put together, and why they fall apart. She is well-positioned to identify and manage legal and related risk. Hdeel has since 2004 been an Adjunct Professor at The George Washington University Law School, where she currently teaches Regulation of Foreign Access to U.S. Technology and Transactional Islamic Law. She has also taught an American legal skills course for international graduate students from around the world. Hdeel has published extensively in her areas of coverage. Her writings have been published in, among other publications, the World Bank Legal Review, Butterworths Journal of International Banking and Financial Law, the Sustainable Law and Development Journal, Law360, Reuters, and Ahram Online. Hdeel Abdelhady was quoted on the Supreme Court’s decision in Trump v. Hawaii (travel ban/Muslim ban case) in Law360, June 2018. Hdeel Abdelhady was quoted by the Association of Certified Financial Crime Specialists on the NYDFS’ enforcement action against Pakistan’s Habib Bank. 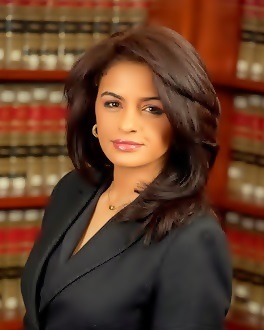 Hdeel Abdelhady was appointed American Bar Association Section of International Law Liaison to the Dubai International Financial Centre Courts. Hdeel Abdelhady was quoted in Islamic Finance News (IFN) on the potential impact of the U.S. Election (2016) on Islamic finance and investment in the United States. IFN is the world’s leading provider of Islamic Finance news, November 2016. Who’s Who Legal recognized Hdeel Abdelhady for Corporate: M&A & Governance in 2016. Hdeel Abdelhady was re-appointed as the American Bar Association Section of International Law’s Liaison to UNCITRAL. Hdeel Abdelhady’s article in Ahram Online on changes to Egypt’s investment laws were mentioned in Weekend Reading: Investing in Egypt, Haunting 1967 Photos, and August in Turkey, Council on Foreign Relations, June 6, 2014. Hdeel Abdelhady was quoted on the Dubai Islamic Economy in Spark Your Legal Career With These In-Demand Law Jobs, U.S. News & World Report, March 12, 2014. Hdeel Abdelhady was quoted in Political divisions slow Islamic Finance in Egypt, Reuters, April 22, 2012. A program led by Hdeel Abdelhady was covered in Hawkamah, American Bar Association forum on Islamic finance, CPI Financial, May 4, 2010. Hdeel Abdelhady was mentioned in Arab International Women’s Forum to host first US conference, Business Intelligence Middle East, June 22, 2008. Speaker, Rule of Law in the Exploration and Use of Outer Space, Galloway Symposium, Washington, D.C., December 2018. Speaker, Critical Minerals, National Security & Supply Chains, American Bar Association webinar, January 2019. Guest, The Beat With Ari Melber, MSNBC (on reports of Michael Cohen banking transactions), May 2018. Speaker, Islamic Finance, Principles and Strategies, Harvard Law School, Cambridge, Mass., March 2018. Speaker, Know Your Business Partners: A Must to Managing Money Laundering, Trade Sanctions, and Corruption Risks, ABA Business Law Section Fall Meeting, Washington, D.C., November 2017. Advisory Board Member and Speaker (Invited), IFN Islamic Finance Forum (USA), New York City, October 2017. Speaker, Planning for Market Uncertainty When Investing in or Managing Social Enterprises, Managing Local Issues in Emerging Markets, Grunin Center for Law and Social Entrepreneurship, New York University School of Law, New York City, May 2017. Moderator and Program Chair, The Panama Papers, Lawyers’ Professional Ethics and Due Diligence Obligations, ABA International Section Spring Meeting, Washington, D.C., April 2017. Moderator and Program Chair, Iran After Partial Sanctions Relief and U.S. Elections: Legal, Risk, and Practical Issues for Business, MassPoint PLLC, ABA International Section and Bryan Cave LLP, Washington, D.C., November 2016. Speaker (invited), United Nations Commission on International Trade Law (UNCITRAL) Asia Pacific Incheon Spring Conferences, Incheon Korea, June 2015. Moderator and Program Chair,­ Managing Anti-Money Laundering Compliance Risk for Financial Institutions, Moderator and Program Chair, American Bar Assn and Arab Bankers Assn, New York City, May 2015. Speaker, The UN Convention on Contracts for the International Sale of Goods in Foreign Legal Systems, United Nations Commission on International Trade Law (UNCITRAL)-Georgetown Law School, Washington, D.C., January 2015. Speaker, Investor-State Dispute Prevention: Pathways for Egypt, Presentation for the Egyptian Ministry of Justice and General Authority for Investment, International Finance Corporation, Washington, D.C.
Speaker, Effective Insolvency Regimes for Islamic Finance, World Bank, Washington, D.C., 2012. Reimposed U.S. Anti-Iran Sanctions Leverage American Economic Power, Reuters, November 7, 2018. U.S.-China Trade War on Three Fronts (Tariffs, Intellectual Property, Law), May 2018. ZTE and U.S. Law as Trade War Weapon, Law360/MassPoint PLLC, May 21, 2018. House Bill “Blocks Bailout” of ZTE After Export Ban, May 19, 2019. OFAC Further Tightens Russia Debt Prohibitions Pursuant to the Countering Russian Influence in urope and Eurasia Act of 2017 (OFAC DIrective 1 As Amended September 29, 2017), October 2017. United States Adds Russian Direct Investment Fund, Other Russian Financial Services Actors to Sectoral Sanctions List, August 2015. A Great BRIC Wall? Emerging Trade and Finance Channels Led by Non-Western Nations Could Curtail the Global Reach of U.S. Law, June 2015. Trade Wars: Restrictions on Foreign Access to U.S. Technology, Hdeel Abdelhady in Law360, October 19, 2018. 5 Legal and Business Issues to Watch in 2017 (Post-Election), MassPoint PLLC, January 6, 2017. Proposals to Curb Foreign Investment in the United States Gaining Steam After the U.S. Election, MassPoint PLLC, November 18, 2016. Public Hearing: Chinese Investment in the United States: Impacts and Issues for Policymakers, Notice of Outside Event, January 19, 2017. U.S. Senators Raise National Security Concerns About Foreign Investment in U.S. Real Estate, MassPoint PLLC, May 19, 2017. Justice Against Sponsors of Terrorism Act (JASTA), MassPoint PLLC, October 4, 2016. Foreign Investment in U.S. Agriculture Raises National Security Concerns, MassPoint PLLC, April 18, 2016. Senate Bill Deprives State-Owned Enterprises of Sovereign Immunity as a Litigation Tactic in U.S. Courts, MassPoint PLLC, September 21, 2016. Critical Minerals: Where National Security, Trade and Environmental Laws Will Meet, August 15, 2018. Glencore FCPA Investigation, a Canary in the Cobalt Mine, July 3, 2018. Foreign Investment in U.S. Agriculture Under Scrutiny: Raising National Security, Critical Infrastructure, and Key Resources Concerns, MassPoint Business Update, April 2016. FAO-OECD Guidance on Responsible Agricultural Supply Chains: Considerations for Investors, Food-Agri Companies, and Finance Providers, MassPoint Business Alert, February 2015. Global food security: A ticking timebomb for the Islamic World (quoted in), Islamic Finance News 2014. Agriculture Investment and Food Security Require Multidimensional Approaches, MassPoint Occasional Note 2014. Global Rush for Agricultural Land: Rewards and Legal Risks, Speaker and Program Chair, Washington, D.C. 2013. Nile Waters Dispute: Egypt-Ethiopia, African Diaspora Today (radio interview), WVON Radio Chicago 2013. Triumph and Tragedy of Rhetoric on the Nile, Ahram Weekly 2013. Nonfinancial Risk For Banks: Incorporating Environmental, Social and Governance (ESG) to Identify and Manage Banks’ Legal, Commercial and Reputation Risk, April 2017. Information Has Democratized Business Regulation, Adjust Risk and Compliance Thinking Accordingly, May 2016. Money is Not Enough: Emerging Markets Enterprises Need Entrepreneurial Governance to Achieve Strategic Objectives in a Changing Environment, October, 2015. The Curious Case Of Trump Attorney’s Suspicious Activity Report, Law360, April 2017. From Anti-Money Laundering to Immigration Enforcement: Time to Reassess the Law Enforcement Role of Banks, Credit Unions and Other Financial Intermediaries, September 2017. Hdeel Abdelhady Discussed the NYDFS Habib Bank Enforcement Action, September 2017. FinCEN Expands Geographic Targeting Orders, August 2017. Congressional Hearing on Terrorism Finance Probes Bank Secrecy Act Data Processing Effectiveness, Lack of Beneficial Ownership Transparency, and Potential BSA and Patriot Act Amendments, April 2017. Senate Bill to Combat ISIS Targets “Jurisdictions of Terrorism Financing Concern,” March 2017. Trump’s Foreign Policy May Further Strain Foreign Correspondent Banking (Derisking), January 2017. Panama Papers Renew Relevance of Proposed U.S. Beneficial Ownership Rule. Proposed U.S. Rule Requires Banks to Collect Beneficial Ownership Information, November 2015. Cross-Compliance for Financial Institutions: the Anti-Corruption-AML Nexus, September 2014. Globalized Anti-Corruption Enforcement: Direct and Collateral Consequences for Private and State-Owned Enterprises (financial institutions focus), MassPoint Occasional Note, November 2013. Global Magnitsky FAQs, October 20, 2018. Global Magnitsky: The Swiss Army Knife Of Sanctions, Law360, August 7, 2018 (view at Law360). Global Magnitsky Sanctions “a Central Tool of U.S. Foreign Policy,” May 28, 2018. Some U.S. Individuals and Entities Have Direct Sanctions Exposure Under Global Magnitsky Sanctions, MassPoint Magnitsky Series, No. 5, April 10, 2018. Departing from Prevailing Legal Standards, United States Directly Sanctions Foreign Government Officials for Corruption, MassPoint Magnitsky Series, MassPoint Magnitsky Series, No. 4, April 6, 2018. From Sergei Magnitsky to Global Magnitsky: United States Asserts Universal Jurisdiction Over Corruption and Human Rights Abuses, MassPoint Magnitsky Series, No. 2, March 27, 2018. New U.S. Sanctions Are a Powerful Weapon Against Corruption and Human Rights Abuse Worldwide, MassPoint Magnitsky Series, No. 1, March 5, 2018.
International Law & Business, Rule of Law, Misc. “ISIS’ Islamic Stagecraft,” Ahram Weekly, October 2017 (or read the reader-friendly PDF here). Editor, 2015 Middle East Legal Developments in Review (Advance Copy), American Bar Association Section of International Law Middle East Committee. Harmonization of Global Sales Law, UNCITRAL Asia Pacific Incheon Spring Conferences, Incheon, South Korea, June 2015. The CISG in Foreign Legal Systems (or not), Speaker, United Nations Commission on International Trade Law – Georgetown Law Global Sales Law Conference: The CISG at 35: Challenges Today, Washington, D.C., January 2o15. Egypt’s New Investment Law Misses the Mark, Ahram Online, June 4, 2014. The Selective Piety of Egypt’s Islamists, Ahram Online, June 23, 2013. The Real Revolution Underway in Egypt, Ahram Online, December 2012. Rule of Law in Egypt; Challenges for Democracy, Moderator, Aspen Institute, Washington, D.C. 2011, September 22, 2011. Pillars of a Modern and Democratic Egyptian Constitution, Egypt Revolution Conference, Washington, D.C., October 21, 2011. Egypt Needs a Mindset Revolution (to transition economically), Ahram Weekly, October 6, 2011. Egypt’s Prosecutor General Must Advance the Rule of Law, Ahram Online July 25, 2011. Partners for Change: Realizing the Potential of Arab Women in the Private and Public Sectors, Arab International Women’s Forum, World Bank, Washington, D.C., June 2008. The Impact of Islam in the Constitution of Iraq, Public International Law & Policy Group Roundtable Series on Next Steps for Implementing the Iraq Constitution, Washington, D.C., January 2006. Issues in Federalism: Negotiation Simulation on the Formation of Regions in Iraq, Public International Law & Policy Group Roundtable Series on Next Steps for Implementing the Iraq Constitution, Washington, D.C., January 2006. Investor-State Dispute Prevention: Egypt, Presentation for the International Finance Corporation, the Egyptian Ministry of Justice, and the Egyptian General Authority for Investment, Washington, D.C. 2013. Go Global, Grow Local: Positioning the DC Metro Area to Tap the Global Aspiration Economy, The 2030 Group Blog 2012. Montgomery County Today: Changing Community and Transformative Opportunity, Co-organizer and speaker (program on health sector growth) 2012. Islamic Finance as a Mechanism for Bolstering Food Security in the Middle East: Food Security Waqf, Eighth International Conference on Islamic Economics and Finance, Doha, Qatar 2011. Middle East Economic Outlook, Interview with Chief Economist of the DIFC, Interviewer, ABA Islamic Finance Committee Podcast, DIFC (Dubai), UAE 2010. China-Africa Trade and Investment: Is it a Two-Way Street?, Program Writer and Chair, Washington, D.C., 2007. Foreign Direct Investment and Investment Dispute Settlement, International Dispute Resolution for the Washington, D.C. Diplomatic Community, Washington, D.C., June 2006. Investment Risks in International Oil and Gas Contracts, Conference on Managing Risk in International Oil and Gas Contracts (under the auspices of the Egyptian Ministry of Petroleum), Cairo Regional Centre for International Commercial Arbitration, Cairo, Egypt, May 2006; Conference on Managing Risk in International Oil and Gas Contracts (under the auspices of the Libyan National Oil Company), Tripoli, Libya, May 2006.